What is the shot heard round the world? If your answer is the first rifle shot of the American Revolutionary War, you would be right … sort of! Because, in part, it was a trick question. Tricky? Yes, there have been several shots that have found their mark in history. Some examples are given such as New York Giants outfielder Bobby Thompson’s game-winning walk-off home run against the Brooklyn Dodgers to win the National League pennant in 1951. Or Gene Sarazen’s memorial golf shot on the 15th hole of the Masters Tournament in 1935, a double eagle (a score of 2 on a Par 5) which propelled him to a play-off win. Although not listed in Wikipedia, I would add my favorite golfer, Tom Watson’s incredible final round chip-in on the 17th hole at Pebble Beach to guarantee a win over Jack Nicklaus in the 1982 U.S. Open. 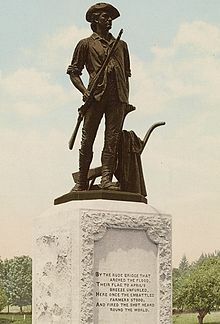 In terms of historical precedent and prominence, the most famous “Shot Heard Round the World,” took place at the battle of Concord where the first British soldiers were killed at the outset of the American Revolutionary War. It was this first real battle of our War of Independence that inspired Ralph Waldo Emerson’s opening stanza of Concord Hymn written in 1837 that produced this iconic phrase. The second most recognized shot heard round the world is attributed to the (two) shots fired in 1914 by a Serbian, Gavrilo Princip, when he killed the heir to the Austro-Hungarian throne, Archduke Franz Ferdinand. This assassination was considered to be the main catalyst of World War I. The first shot actually hit Ferdinand’s wife, the second struck the Archduke himself. Until the advent of modern-day sports, “shots” obviously came from guns and artillery. Well, maybe a shot of whiskey! In addition to golf and baseball, we now have a shot on goal (hockey and soccer), a shot in basketball, a shot in tennis, and I’m sure others that I can’t think of right now. For what it’s worth, I thought the “Shot(s) Heard Round the World” would be a good lead-in to this week’s Eye of Prophecy article, if for no other reason that a play on the word shot exchanging it for “Shout.” And for a little titillating piece of history, with emphasis on little for those who have minimal interest in things historical. Contrasted to some of us (like me) who can’t get enough of history for an abundance of reasons. I suppose that’s one of those: to each his own. Whichever Shot Heard Round the World is the most well-known or however many others are worthy of such iconic reminiscence or how many more may come along in the future, there is one thing for certain: The “Shout” Heard Around the World will be part and parcel of the greatest event since the birth, life, death, burial, and resurrection of Messiah Jesus, himself. This stupendous shout combined with a series of titanic trumpet blasts will electrify the world and abruptly launch Planet Earth into the end-times Day of the Lord. Although the magnitude of the shout and trumpet calls will be like none ever heard before or after, there are Old Testament Biblical precedents of shouts and trumpets that portray and pattern integral features of the Rapture. Followed by more shouts and trumpets during the terrible seven-year Tribulation, culminating with the triumphant return of Jesus to this earth to usher in the Millennium. I initially wrote about this sequence of events in the fifth article ever posted on Eye of Prophecy website, How the Rapture? Posted 8-24-13. And did so through a meticulous examination and comparison of the two main Biblical passages about the Rapture—I Thessalonians Chapter 4 and I Corinthians Chapter 15. I would encourage you to read that article; and, if time permits, the first four articles on the Rapture, posted in July and August, 2013. Let’s begin with a premise supported heavily by Scriptural evidence as well as common sense application to unfolding of the Rapture itself. “For the Lord himself will come down from heaven with a commanding shout, with the voice of the archangel, and with the trumpet call of God. First, the Christians who have died will rise from their graves. Then, together with them, we who are still alive and remain on the earth will be caught up (harpazo) in the clouds to meet the Lord in the air. Then we will be with the Lord forever” (I Thessalonians 4:16-17, parenthesis mine; harpazo is the Greek world for “caught up” from which we get the Latin term Rapture). “But let me reveal to you a wonderful secret. We will not all die, but we will all be transformed! It will happen in a moment, in the blink of an eye, when the last trumpet is blown. For when the trumpet sounds, those who have died will be raised to live forever. And we who are living will also be transformed” (I Corinthians 15:51-52). For the past several decades, every commentary, sermon, book, or article that deals with this passage–at least everything I’ve heard and read–consolidates, by default, the dynamics of this passage on the Rapture with the other main passage found in I Thessalonians Chapter 4. With a resulting conclusion that the entire scope or sequential events of the Rapture will transpire at warp speed … blink of an eye. For sure, the two passages are intricately related; but there is also a specific variance found in I Corinthians 15 that is profoundly distinct from the companion passage in I Thessalonians Chapter 4. In I Corinthians 15, what is it precisely that takes place in the nanosecond blink of an eye? A little hint: To one thing only, which (blink of an eye) doesn’t apply to the rest of the Rapture events described in I Thessalonians 4, in terms of those events also taking place in a split-second. Here is where we students of the Bible (I’m including myself) overlooked or took for granted one little (impersonal) pronoun. Because we skimmed over this two-letter word, we missed or dismissed the important textual relationship of this pronoun to the antecedent that immediately precedes it…. I hope you see this as much more than just a boring exercise in grammar and syntax. It is exceptionally significant that we understand what is going on in this passage. Saying it another way: The only thing that will happen in a moment or blink of an eye (at the instant the last trumpet is blown) is the actual physical transfiguration of our earthly bodies. The “it” does not apply to anything else in this passage; nor can “the transformation” specifically apply to the events so majestically portrayed in I Thessalonians Chapter 4. In fact, I Thessalonians 4 doesn’t say anything about the blink of an eye transformation at all. But we’ve inadvertently extended or expanded the instantaneous change found in I Corinthians 15 to include the entire sequence of events described in I Thessalonians 4. Now let’s interconnect the events from both of the above Rapture passages. This will enable us to understand clearly that the entire episode of the Rapture is progressive and will take place in real-time and space. Only the actual transformation of believer’s bodies, both dead and living, will occur in the blink of an eye; yet even that is a measure of time. As you will see, the only speculation that I will engage in is the approximate (if not actual) length of time (minutes) over which the Rapture will unfold. However, that “speculation” has a Biblical precedent. We’ll get to that later. For now, think Walls of Jericho! We’ll begin again with I Thessalonians Chapter 4 which, as indicated earlier, is the first systematic revelation of the Rapture which immediately precedes the beginning of the seven-year Tribulation. In the subsequent disclosure of the Rapture to the Corinthian believers, the Apostle Paul provides two additional features for a comprehensive grasp of everything taking place. Those two aspects not found in I Thessalonians: (1) the Last Trumpet call which obviously implies there will be more than one (a series of trumpet blasts); (2) The split-second (blink of an eye) transfiguration of our dead or dying earthly bodies to our eternal spiritual bodies. Then we’ll weave in I Corinthians 15 with I Thessalonians 4 to complete the prophetic tapestry of the monumental Rapture event that will liftoff what Scripture often refers to as the Day of the Lord (Rapture, Tribulation, and Millennium). “For the Lord himself will come down from heaven with a commanding shout, with the voice of the archangel, and with the trumpet call of God. First, the Christians who have died will rise from their graves” (I Thessalonians 4:16). The trumpet call of God and Christians who have died will rise from their graves, requires us to now switch over to I Corinthians for amplification. “…We will not all die, but we will all be transformed! It (the transformation) will happen in a moment, in the blink of an eye, when the last trumpet is blown. For when the trumpet (last trumpet as Paul has already stated, with clear inference that there are several trumpet blasts) sounds, those who have died will be raised to live forever. And we who are living will also be transformed” (I Corinthians 15:51-52, parenthesis mine). Paul begins the Corinthians’ passage with: “We will not all die…” Which is a direct reference and connection to I Thessalonians 4, thus, we’ll resume with I Thessalonians: “Then, together with them (those who have been resurrected from the grave), we who are still alive and remain on the earth will be caught up in the clouds to meet the Lord in the air…” I Thessalonians 4:17). Stay with me, and you’ll see how this works. Once again, here is the wording succession in I Thessalonians 4: “For the Lord himself will come down from heaven with a commanding shout, with the voice of the archangel, and with the trumpet call of God…” (Verse 16). These three particulars (shout, voice, trumpet call) of the Rapture have obviously been quoted in the sentence sequence order in which they are presented in I Thessalonians 4. However, with one significant observation (commentary): The Lord’s commanding shout, accompanied by the voice of an archangel are linked to the “trumpet call” by the connective word and; rather than “then” or “when” which are terms used to demonstrate sequence, i.e. first this, then that. In other words, the main purpose and use of “and” is to connect the elements (separate parts) of a single sentence together in/with equal “rank or function.” As opposed to stating or even suggesting that there is a progression in which the events will or should unfold. What I’m saying is that the Lord’s shout, the angel’s voice, and the trumpet call(s) are all component parts of the beginning phase of the Rapture … the means that will get the attention of the entire world, both believers and unbelievers. Followed by the reason/purpose for this majestic introduction and attention grabber, which is the transformation of the dead to resurrected bodies. Then the transfiguration of living believers, resulting in our joint ascension to meet the Lord in the air/clouds. (1) A Series of Trumpet Blasts: Again deferring to Paul’s elaboration (clarification) in I Corinthians 15, the actual transformation of believers—spectacular resurrection of dead Christians immediately followed by an astonishing change of the bodies of living believers—will take place when the last trumpet is blown. 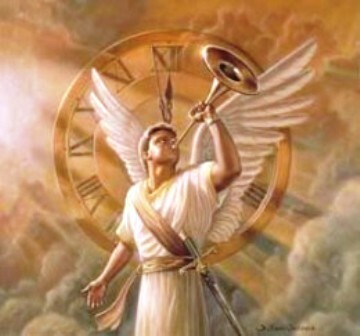 “Last trumpet” implies unmistakably that there will be a series of trumpet blasts preceding the final trumpet call. This is precisely the pattern of trumpet blasts throughout Scripture, a sequence that took several minutes to conclude. (2) Resurrection of Believers from Their Graves, With New Instantaneously Transformed Spiritual Bodies: The blink of an eye change in I Corinthians 15 logically must precede the “rise from their graves” as recorded in I Thessalonians 4. There must first be the transformation of dead believers to a brand new spiritual body before they can escape the confines of their graves or from wherever they were entombed (such as the ocean or even scattered ashes). 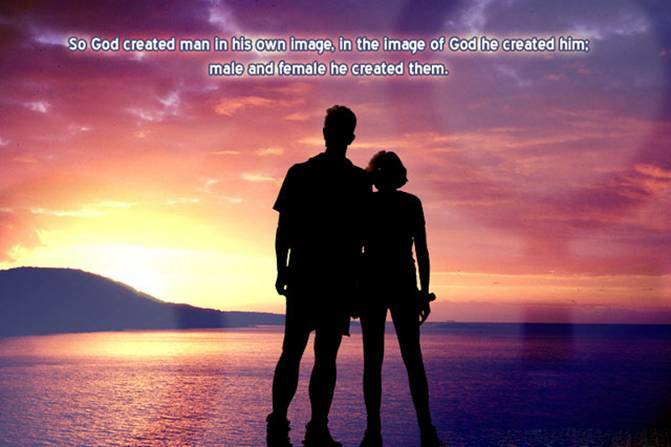 Recreating their bodies will be absolutely no problem for God. He is, after all, the Creator of all living things. He has ultimate power over life and death. However, the implication is crystal clear here. 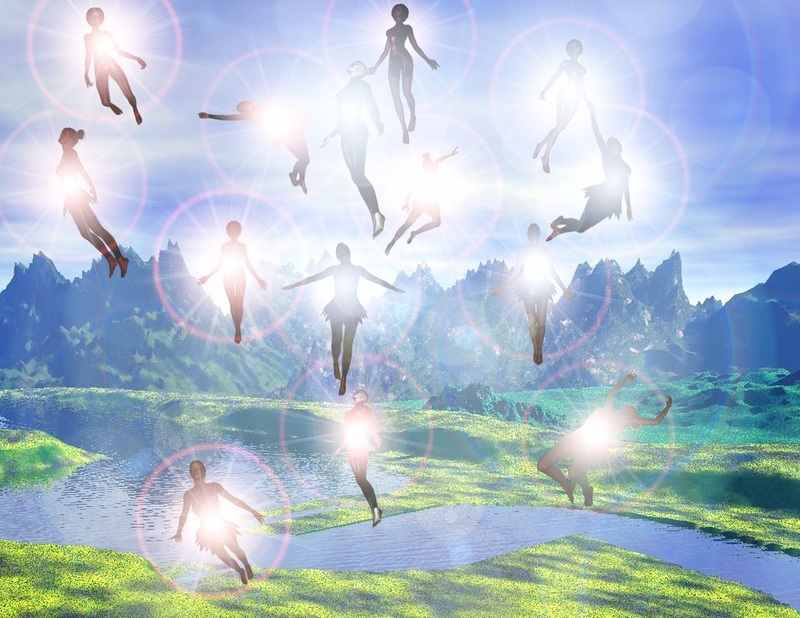 There will be another lapse of time (perhaps a minute or two) when all dead saints will “arise from their graves” after the blink of an eye transformation of their bodies—which will take place when the last trumpet is blown. (3) Followed By Transfiguration of Believers Who Are Alive: I’m convinced that there will be a few minutes for living believers as well as unbelievers the world over to see some of those raised from the dead before believers who are alive will be transformed. “…The bodies of many godly men and women who had died were raised from the dead. They left the cemetery after Jesus’s resurrection, went into the holy city of Jerusalem, and appeared to many people” (Matthew 27:52-53). This was a special preview—privilege granted by God to some believers when Christ died and arose to conquer death itself—of the Rapture resurrection of the dead in Christ. The “many people” that saw them would have been composed of both believers and unbelievers. (4) A Commanding Shout from Messiah Jesus: The Shout Heard Around the World. As stated in a couple of prior Eye of Prophecy articles, I firmly believe this shout will either be the exact words or something similar to what Jesus said to John of Revelation which began the series of Tribulation revelations to John. It was a microcosm representation of the Rapture itself, when John was taken to heaven to watch and record, but not actually experience all of the Tribulation events. “Then as I looked, I saw a door standing open in heaven, and the same voice I had heard before (referring to Jesus speaking to John as found in Revelation 1:10 in a “loud voice like a trumpet blast”) spoke to me like a trumpet blast. The voice said, ‘Come up here’…” (Revelation 4:1, italics for emphasis, parenthesis mine). “…with a commanding shout, with the voice of the archangel…” (I Thessalonians 4:16). Here it is not clear whether Jesus’s shout will be in or with or like the voice of the archangel (there are several instances of angels shouting before some of the Tribulation judgments are unleashed), or if the archangel (possibly Michael) will shout along with Jesus. However, the way the word “with” is used in this passage strongly suggests that an archangel will also shout in addition to and before the initial command from Jesus for believers to, “Come up here.” That Jesus won’t be shouting like or in the same manner or with the same voice as an angel (would shout). (5) The Final Phase of the Rapture: “Then (after everything already described in both passages takes place), together with them (the resurrected dead in Christ) we who are alive and remain on the earth will be caught up in the clouds to meet the Lord in the air…” (I Thessalonians 4:17, parenthesis mine). For unbelievers these sights and sounds will be a source of shock and awe. For believers, a scene of pure joy and ecstasy (which is part of the meaning of the world Rapture). Throughout the Old Testament we find many examples of patterns or types of people, places, and things that foreshadow New Testament and end-times fulfillment or completion. Such as: Abraham’s willingness to sacrifice Isaac, only for God to provide a substitute (ram), just as God provided the ultimate once for all substitute (for sin) through the sacrificial atonement of His Son, Messiah Jesus; much of the life and achievements of Joseph representing Jesus’ life; the Levitical Sacrificial System as a model of redemption through the shedding of innocent animal blood—to be set aside in favor of the New Covenant of Grace; the seven Jewish Festivals foreshadowing the first and second advent of Messiah Jesus; Enoch suddenly taken from the earth alive to spare him from the Great Flood, depicting the Rapture of believers—sparing us from the Great Tribulation. There are many others. For purpose of today’s article, it is the use of trumpets in the Old Testament to announce important events such as the Jewish Festivals or warnings to the Jews of impending danger or attack. Or in the case of our specific example: the blowing of the shofar/trumpets that signaled God’s direct intervention in Israel’s first victory over her enemies after entering the Promised Land. “Joshua got up early the next morning, and the priests again carried the Ark of the Lord. The seven priests with the rams’ horns (shofar) marched in front of the Ark of the Lord, blowing their horns. Again the armed men marched both in front of the priests with the horns and behind the Ark of the Lord … They followed this pattern for six days. “On the seventh day the Israelites got up at dawn and marched around the town as they had done before. But this time they went around the town seven times. The seventh time around, as the priests sounded the long blast on their horns, Joshua commanded the people, ‘Shout!’ For the Lord has given you the town!” (Joshua 6:12-16). “When the people heard the sound of the rams’ horns, they shouted as loud as they could. Suddenly the walls of Jericho collapsed, and the Israelites charged straight into the town and captured it” (Verse 20). The capture of the city was an anticlimactic foregone conclusion. The victory had already been won; it was just a matter of following God’s battle plan. March around the city, blow the shofar, shout like never before, and watch God supernaturally open Jericho by bringing down the walls. In like manner, Christ has already won the ultimate battle by conquering death itself. Because he is the “resurrection and the life” he was the first to arise from the dead with a glorified body. Messiah Jesus will open the tombs of those who have been redeemed by believing and receiving him as their personal Savior. It’s just a matter of (a short) time before our actual physical victory over death (those already departed) and decaying bodies (those believers still alive) will be finally achieved. God ushered his people into the Promised Land of Israel through a supernatural victory over their enemies by breaching the walls of Jericho. How was this done? With trumpets and a loud shout. 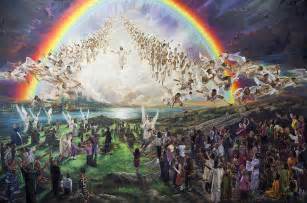 Likewise, Messiah Jesus will breach the graves of fallen believers and along with living believers usher them into a Land of Promise … Heaven! And what will precede this final victory over our archenemy death? Easy answer: Trumpets and the Shout Heard Around the World! “Then, when our dying bodies have been transformed into bodies that will never die, this Scripture will be fulfilled: ‘Death is swallowed up in victory. O death, where is your victory? O death, where is your sting?’ For sin is the sting that results in death, and the law gives sin its power. But thank God! He gives us victory over sin and death through our Lord Jesus Christ” (I Corinthians 15:54-57). Normally, the blowing of the shofar wasn’t a simple quick, one-time burst of sound. Rather, it entailed a series of blasts lasting several minutes, with each part of the series different from the others, and sometimes each component part repeated again. This literal lapse of time needed for a literal series of visual and audio events to occur will NOT take place in a blink of the eye. Many people, even unbelievers have heard of know about the divine significance of the number seven in Scripture as related to the completion of God’s plan for the human race. 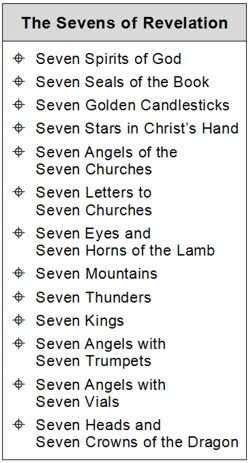 The Bible is replete with the number seven, especially in the book of Revelation. Realizing that we can’t know for sure how long the Rapture sequence of events will last, I would, nonetheless, propose (beyond mere speculation) that it will last for seven minutes. When something as incredibly dramatic as the Rapture begins to unfold, seven minutes will seem like … well, a lot longer than seven minutes. Just imagine a seven-minute grand finale of a 4th of July fireworks display. It seems like it takes much longer, because of the continuous exploding action (pun intended) going on around and above us. Not only the number seven in general throughout Scripture, but especially because of the striking parallel between the victory over Jericho for the Lord’s physically chosen people (national Israel) and the ultimate victory over death and the grave by God’s spiritually chosen people (individual Jews and Gentiles) at the Rapture resurrection and transformation of believers. 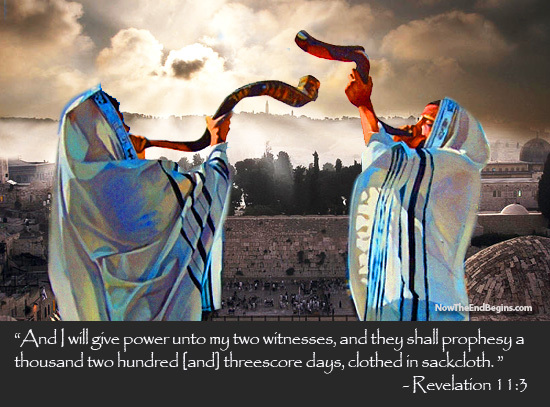 How many days did the people trek around Jericho with shofar blaring? How many priests marched in front of the Ark of the Covenant each of the seven days? How many times on the seventh day did the armies of Israel march around the city? How many Seal, Bowl and Trumpet Judgments in Revelation? Seven of each set of judgments. And, for the purpose of this week’s article, I found there are fourteen loud shouts (described as a shout, great shout, mighty voice, a loud voice, a voice like thunder, or what sounded like a trumpet blast) in Revelation, from either Jesus or an angel or one of the four living beings—cherubim who are a higher rank of angels! They are: Revelation 1:10; 4:1; 6:1; 10:3; 11:12; 12:10; 14:7; 14:8; 14:9, 16:1; 16:17; 18:2; 18:21, and 21:3. Excluded is an eagle “crying loudly,” the shouts of the hosts/crowds of heaven, and one angel shouting to other angels. We’re looking at just those shouts from the Lord or angels directed to the tribulation saints or to unbelievers left behind on earth. Of special note is Revelation 11:12, where the same phrase that Jesus uttered to John is repeated to resurrect the two mighty witnesses (Elijah and Moses) from the dead. Fourteen shouts … seven twice over to reinforce the number of completeness, wholeness, and finality of the Lord’s ultimate triumph over Satan, Antichrist, the False Prophet, and all those who follow and even worship this evil trio. Two sets of seven to validate the Shout Heard around the World. Which will begin the Day of the Lord culminating in the Millennial Reign of the King of all kings, our Lord and Savior Messiah Jesus. This will allow time for such things as: pulling cars over to the side of the road; awaking in the middle of the night from a deep sleep; turning off the T.V or loud music; stop the yelling at someone; hugging your un-believing spouse or friend good-bye; the short, but most intense praise and worship ever experienced by Christians on this earth; and, hopefully, a few minutes for some foxhole conversions all over the world. May our Lord, continue to give you wisdom from the teaching ministry of the Holy Spirit, so you might continue to study and tell others about His Plan . I know our enemies hate what you are revealing! Truth will prevail. The Battle is the Lords. Thank you!